When you first start your business of renting commercial moonbounce units, you will likely want to do everything you can to make sure that your investment is secure. Unfortunately, as time goes on, bounce house owners tend to be a bit more lax when it comes to their units. They get used to the unit and they forget how much it cost to purchase it and so they often store their mood bounce improperly. This can mean that the bounce house needs to be repaired or replaced far sooner than it should have to be. First things first – let’s talk about improperly packaging your bounce house. It is important to make sure when you have deflated and taken down the unit that all of the sides have been completely drained of all air. Make sure there is absolutely no air left in the unit and the best way to do this is to deflated as much as possible using the blower and then to roll it up, constantly squishing it, to make sure any excess air is removed. Many of the units fold up, but some of them go into a tube. Make sure you know how to properly fold or roll your unit before you start renting it out. You should also make sure to put the commercial moonbounce back in the same bag that it came in, but you can’t stay in the same bag, it’s likely that you did not fold the unit correctly. Some bounce house rental owners say they want to keep their bounce houses outside when they’re not using them because they do not have much room in their homes. This is not a good idea. Even when it is deflated, a bounce house can be damaged by harsh elements. If your bounce house is rained on, even in its bag, that can create a heavy amount of mildew and decay. If you plan on storing your unit outside because you do not have enough room in your house, make sure you have it in some sort of enclosed structure that animals and elements are not going to be able to get inside of. Remember: the more care you put into making sure that your bounce house is thoroughly taking care of when it is deflated, the longer your bounce house will likely last. Do you know about the history of the bounce house? 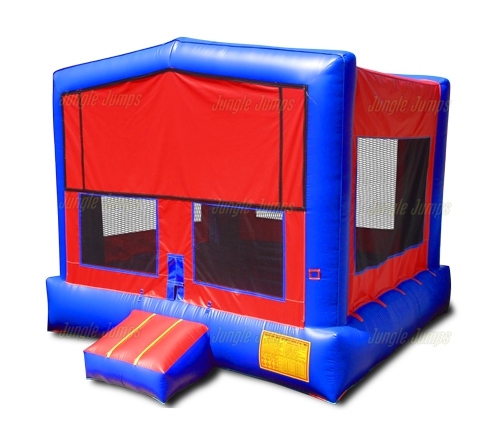 Believe it or not, the first moon bounce was designed in 1959 when a man named John Scurlock decided to try to create an inflatable cover for tennis court. He was frustrated with how much time it took to cover tennis court and thought that some sort of inflatable item would be faster and much easier. The inflatable cover worked, but he realized that his employees were having more fun jumping around on the cover than anything else. That is when he decided to create his own company and to become the first person to offer a moonbounce for sale. In the 1960s, bounce houses were considered something of a novelty. Back then it was strange to see someone have a bounce house at a child’s birthday party. 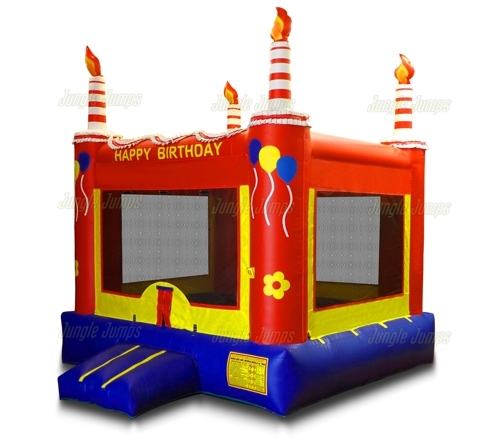 As time has gone on, however, inflatable units have become more and more popular, and now if you do not have a bounce house at your child’s birthday party, you will have a lot of very disappointed children. Even charitable organizations are often on the lookout for a moonbounce for sale that they can use for fundraising opportunities. 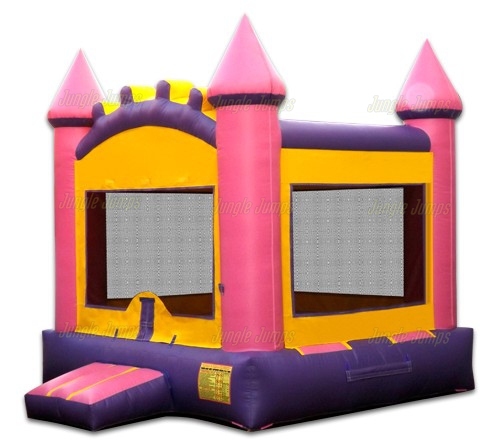 Not only can you locate a moonbounce for sale through an inflatable manufacturer, you can also find these types of units for sale, and for rent, often at small hardware stores and party rental stores. This can make it tricky for someone who owns a bounce house rental business, but as long as you keep your business fresh and focus on customer service your business should be absolutely fine. Why have these units become so popular? That is actually a very good question, but what it boils down to is the simple fact that children love to be able to jump around and to basically raise havoc without getting in trouble for it. And actuality, children need to be able to release their energy in a safe way on a regular basis. 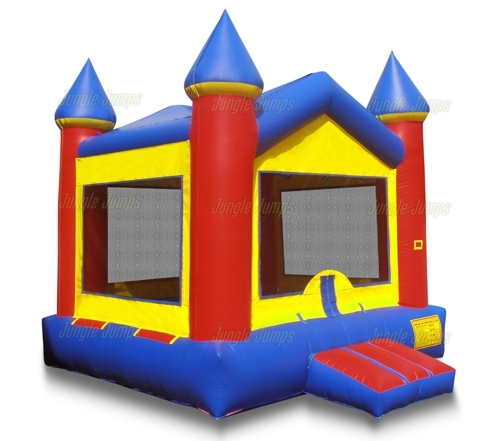 So believe it or not, the bounce house rental business that you own is not only a way to earn profitable living, it is also a way to help parents give their children a wonderful time. Ask any young child where their favorite place to be is in a vast majority of them will point to a ball pit. Ball pits have been around for quite some time, and they’re one of the favorite places for most children to go because not only are you able to roll around without risk of injury, you are also able to jump into the balls, and to throw them, all of the same time. Jumping, rolling, and throwing – three things almost all children love. Because of this, many bounce house rental business owners are looking into purchasing moonbounce units that are designed to be able to handle a pit full of balls. Is this really a good idea? Unfortunately, there has been a great deal of controversy in the world of ball pits, and often for a good reason. If you look online you will find a number of horror stories about children getting injured when they were in this type of play apparatus. Often they are injured because the employees do not have the foresight to thoroughly check the pit on a daily basis, allowing things that should not be in the apparatus, such as things that can injure child, to remain there. Because of these horror stories, many parents are now more cautious about allowing their child to go into a ball pit than ever before. That doesn’t mean that you can purchase a moonbounce unit that is designed to hold balls. If this is the way you would like your business to grow, it is important to make sure that your clients realize that their children will be safe in the inflatable unit. When you advertise, or when you talk to parents, explain that you have to remove the balls every time you take the unit down. This means they are easily able to see anything that fell into the ball pit while the children were playing there. Yes, removing and adding the balls each time you set up the unit can be a bit frustrating, but it is basically the only sanitary way to make sure that you have an apparatus the parents are going to want to pay to rent. 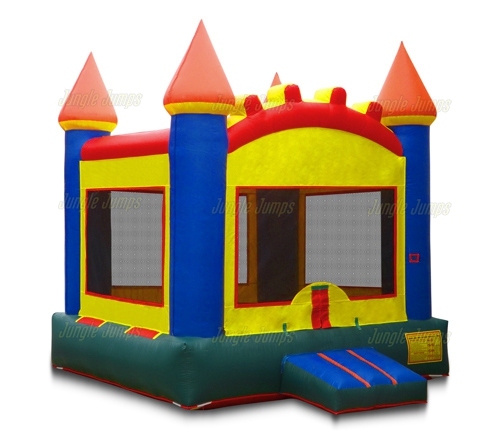 There are a number of different moonbounce units that are perfectly designed for this type of play structure, and with the many different prices available, it may be something worth looking into.